Molly Brazy can still listen to her own music without getting tired of it. When the Detroit rapper talks about making "Trust None," her face breaks into a giant smile. "That song slaps," she exclaims. She released the visuals for her track "Molly's Story" in December, which is from her project Big Brazy. 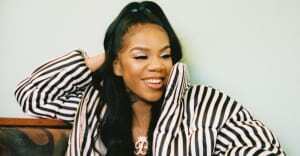 In a recent stop at The FADER Molly Brazy talks about the success of "Trust None," experiencing some tough times in high school, contemplating what it means to be a woman who raps, and dealing with haters. Molly doesn't seem to put up with disrespect, and wants to set an example for younger female rappers. "When you've got haters, and you ain't got what they've got, just work to be better than them."